Portal Pro™ brings unparalleled speed & functionality to OIG, GSA, and Medicaid excluded party searches! With Portal Pro's bulk upload & search functions, you’ll be amazed at how easy exclusion list searches can be! 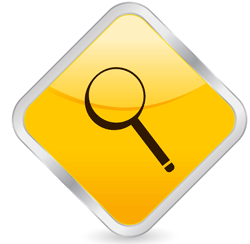 Companies large and small use Portal Pro™ to quickly manage exclusion searches. Our clients range from large practices operating under Federal Corporate Integrity Agreements to small physician groups – and switching to Portal Pro™ saved some of them thousands of dollars each month! Using Portal Pro™ is easy. If you’re a small provider, simply create and maintain lists of search values inside our software. If you’re a large provider, you can import large lists of values from a spreadsheet. Keeping large lists synchronized with your data is easy, too - simply merge your updated data with the existing Portal Pro™ list! Once your data is scanned, managing exclusion list matches is ultra-efficient because items you mark as “False Positives” stay marked as such, so you don’t have to review the same hits each month! Efficient. Effective. Affordable. That’s Portal Pro™! Bulk updates: synchronize lists with fresh imports! Have questions? Feel free to submit the form below or call us at 855.937.2872! This option is designed for organizations that only wish to perform annual, bi-annual, or quarterly exclusion verifications. Renew a 30 Day Pass at any time to perform additional bulk searches! Learn More About Portal Pro™ By Viewing These Videos! * Your Portal Pro account will be activated immediately after checkout. To be eligible for a refund, cancellations must be requested within the earlier of: 5 days of the original purchase date; or before the first 100 searches are completed. We only issue refunds to the payment method used at the time of checkout. A refund will result in an immediate deactivation of the account, and all search history will become inaccessible. Verify Comply is a technology company in Austin, TX. We believe that a passion for innovation coupled with a strong set of values is our pathway to happiness and success. Our goal is to be the best, and we won’t settle for anything less.